This WordPress Tips & Tutorials article offers a few tips gained from a few years of experience with building and tuning WordPress websites. It also links to further articles for optimising WordPress, and some tutorials. WordPress started in 2003 as a free, open-source website building and blogging tool. As of Jan 2012, over 24% of new websites are powered by WordPress. It is the most popular website building application in the world, used for everything from building quick and easy small business sites and blogs to powerful, corporate Content Management System (CMS) websites. With WordPress, you can create any type of website you want: a personal blog or website, a photoblog, a business website, a professional portfolio, a government website, a magazine or news website, an online community, even a network of websites. You can make your website beautiful with themes, and extend it with plugins. It’s important to ensure that your web site loads reasonably quickly – not only because users will get tired of waiting and go away, but also because search engines such as Google care about the user experience and will adjust your site’s search results ranking up or down according to its loading speed. For some good overviews of WordPress tuning see How to Score 100/100 in Google PageSpeed Insights with WordPress, Ultimate Guide to Site Speed Optimization for WordPress and WordPress Optimization Guide. To test your site’s performance I highly recommend these: WebPagetest, Pingdom (down when I checked), GTmetrix, PageSpeed Insights, YSlow (browser addon). My favourite is WebPagetest. You can select various servers around the world from which to perform the testing. If your desired audience is local to a particular area or country then look for the nearest test server; if your audience is more global then you’ll want to perform your tests from several distributed servers. Start with the one nearest to your web host. You’ll probably find the page load time to be several seconds. After the optimisation you should hopefully get that down to a couple of seconds! The first thing to do to speed up your site is to cut down on the volume of stuff being sent out to your visitors, e.g images, text, stylesheets, plugins etc. Start with your home page because that’s normally the one that most people see first – and first impressions count! Minimise the number of elements on the page (e.g. images, plugins, scripts etc.). Each one requires another call from the browser to your web site. Minimise image sizes. Be aware of the differences between GIF, JPEG, and PNG. GIF is best for diagrams & cartoons, JPEG is best for photos. PNG is usually not the best choice, try converting to one of the other formats. Use a Content Distribution Network such as CloudFlare (a free plan is available and well-worth trying). Don’t go overboard with plugins. Use P3 Plugin Performance Profiler to check how long they take to load. Use a caching plugin such as W3 Total Cache or WP Super Cache. W3 is easier to use, often WP gives slightly better results. Choosing a good theme can be an arduous process. Perhaps the best way to start is by going, in the Admin area, to Themes -> Add New, and then searching on the keyword(s) that best describe what kind of site you want to make; e.g. blog, news, photography, shop, encyclopedia, etc. Or, if there’s a well-known example of your desired type of site, try searching on that, e.g. Pinterest (some are Pinterest-like, others just happen to mention Pinterest as one of the social media buttons available. These are some of my favourites: Carton, Jkreativ Lite, Kabbo, NewsFrame, Pinbin, Pinboard, PinPress, Pronto, Shaken Grid Free, Shprink One. One very popular feature of WordPress is its rich plugin architecture which allows users and developers to extend its abilities beyond the core installation. WordPress has a database of over 24,000 plugins, each of which offer custom functions and features enabling users to tailor their site to their specific needs. These customizations range from SEO (Search Engine Optimization) enhancers to content-displaying features, such as the addition of widgets and navigation bars. Widgets are small modules that offer users drag-and-drop sidebar content placement through the implementation of plugins’ extended abilities. Some of these Widgets offer customization options such as web forms to fill out, includes or excludes of data and information such as Categories, Archives and Recent Posts, optional images through slideshows and/or carousels, amongst other customization features.These small modules are typically displayed within the header (header.php), footer (footer.php) and sidebars (sidebar.php files) of websites, but can also be placed outside of said locations enabling even further customization. If you are new to WordPress, here is a step-by-step plan for getting started. If you need help along the way, plenty of options for assistance are listed in this article. Welcome to the exciting world of WordPress! Let’s take a step-by-step tour through your WordPress site and see how the different functions work and how to make your new site your own. During the first part of this tutorial, please don’t change anything within the program unless it is part of the tutorial. After following these steps, you’ll soon be changing everything. At its core, WordPress is a Content Management System (CMS). Although it gives you control over every aspect of design and functionality, websites are nothing without content,and content creation and management are what drives WordPress. With that in mind, today we are going to take an in-depth look at the WordPress Visual Editor. For beginners, this is a comprehensive guide. Having said that, more experienced WordPress users who read this may be surprised to find a few unfamiliar features that have been hiding in plain sight. WordPress is the world’s most popular publishing platforms, and it’s currently estimated to power 17.6% of all websites. It’s highly customisable, very easy to use and, probably the best part, it’s completely free. 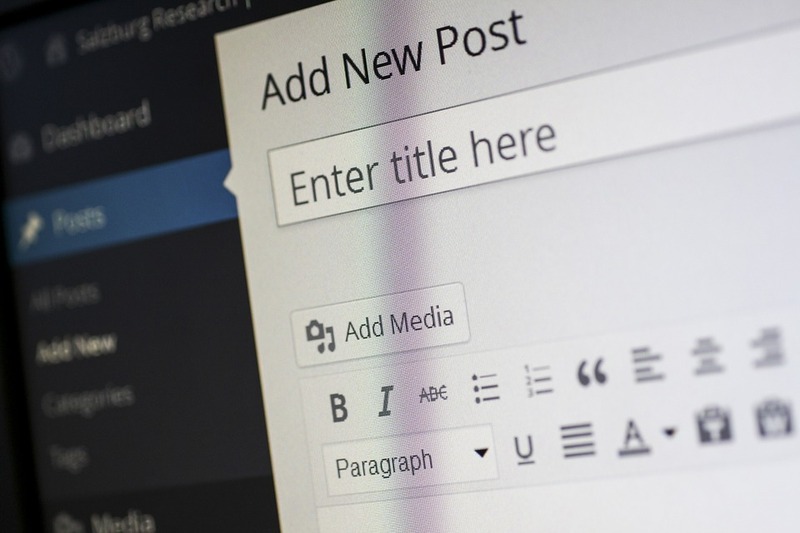 Because of its enormous popularity, there’s a wealth of WordPress tutorials online to help you get to grips with the content management system. But with so much choice, things can often get confusing. So, to save you time we’ve done the hard work for you and picked 40 brilliant WordPress tutorials from around the web that will boost your skills and introduce you to exciting new techniques.